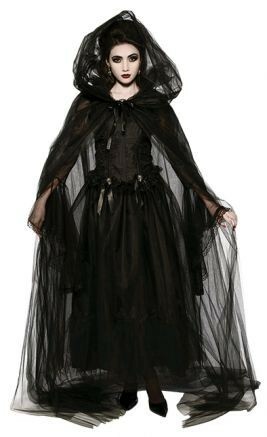 Complete any Halloween costume with this black, netted, full length hooded cape. Black netted cape only, does not include any other items. Length of hooded cape is 183 cm.